The festive season is at hand and the evenings are yours to present your fashionable finest! 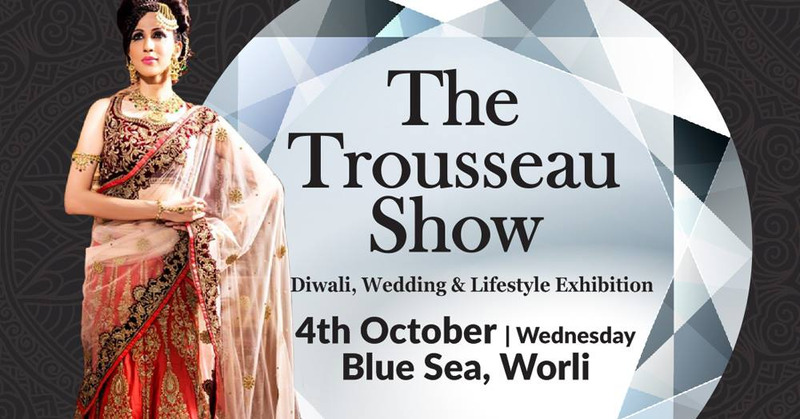 We present the Trousseau Show, aimed at your glamorous evenings and those beautiful days where you adorn your finest fashion wear and accessories. To make your evenings come alive, we’ve got a day of fashion shopping set aside exclusively for you, so that you can concentrate on shopping for what you like, as you like it. Choose from various exhibiting stalls, with their variety of couture, fashion and accessories, apart from home, lifestyle and décor products that will fascinate you. It’s an opportunity to load your wardrobe all over again with the finest unmatched deals available anywhere in the city.